Choose your machine – – ATV or UTV!! That’s right! We pride ourselves in providing our guests 30 miles of off-road trail riding! 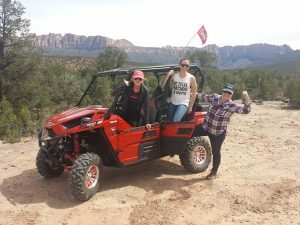 This Zion ATV tour located at the base of Zion National Park, Springdale, Utah is designed for people with an active lifestyle. Our interactive ATV tours take you where there’s solitude when you need a dose of back country bliss. 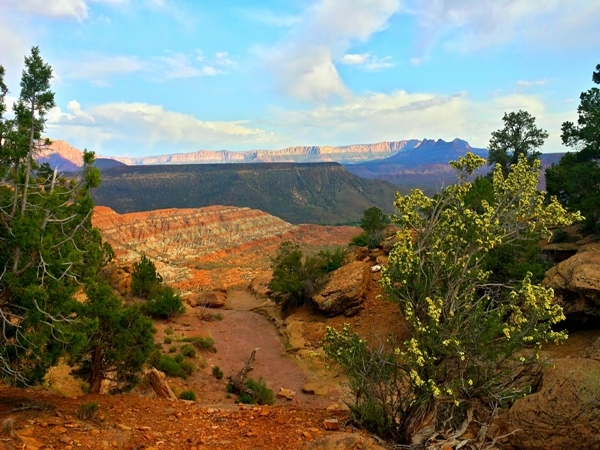 Following the tour guide, we will ascend 1,500 feet atop the mesas and explore 30 miles of rugged trails topping at an elevation of 5,200 ft. to a view that rivals the Grand Canyon. This tour perfectly meshes the ATV tour you crave: local history, geological formations, and pristine high desert environment. Enjoy unbelievable scenery and gorgeous viewpoints a plenty. Each canyon has something different to offer your senses. Come be captivated from beginning to end on this off-road retreat. This Zion tour is fun for all ages. We are real people who live, love and play in the Zion Canyon back country and Southern Utah wilderness and not some geared out corporation. 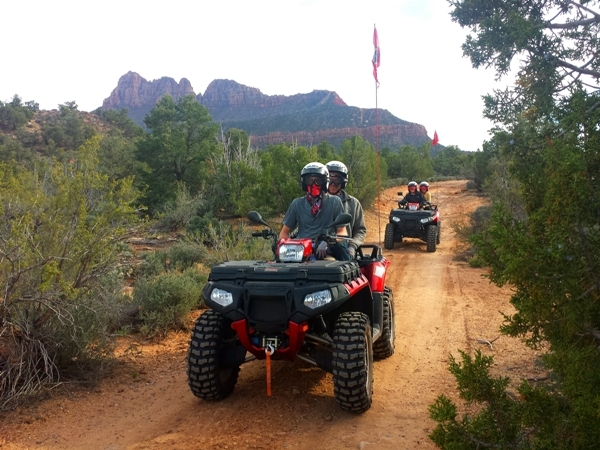 Our Zion Canyon ATV tours will help you live a little piece of our wild. Not only do we live and breathe the red rocks and pink sand in Southern Utah we offer the finest, well-maintained equipment. We believe a quality tour experience is a combination of people who really love the outdoors, great machines, and helping you and your family have a memorable experience. We are pretty sure you did not come all this way just to fall into all the same tired tourist traps. After you’ve conquered Angel’s Landing, dipped your toes in Emerald Pools, or trekked through The Narrows in Zion National Park, come experience the rest of Zion Canyon country on one of our amazing Zion ATV tours. We meet at the Hampton Inn located in Springdale, Utah. 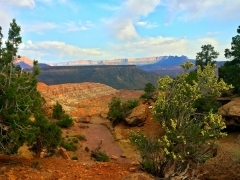 Let us show you why our company is called Zion Country Off-Road Tours. This tour offers slightly cooler temperatures during those warmer months. Aggressive driving is NOT ALLOWED – spinning of tires, sliding around corners, etc. If you have questions please call (435) 767-7956 before booking online. For those of you interested in being in the driver’s seat we also offer fully guided UTV tours. These machines are so slick you only need a gentle touch and the spirit of adventure to operate them. They’re like driving little clouds of air. 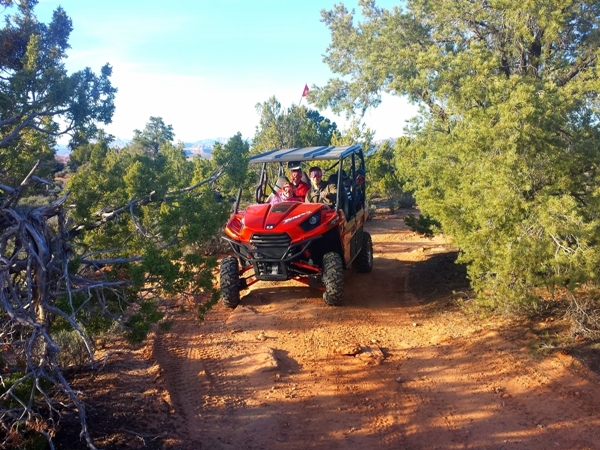 A guided UTV tour can elevate your Southern Utah vacation experience to a whole new level. 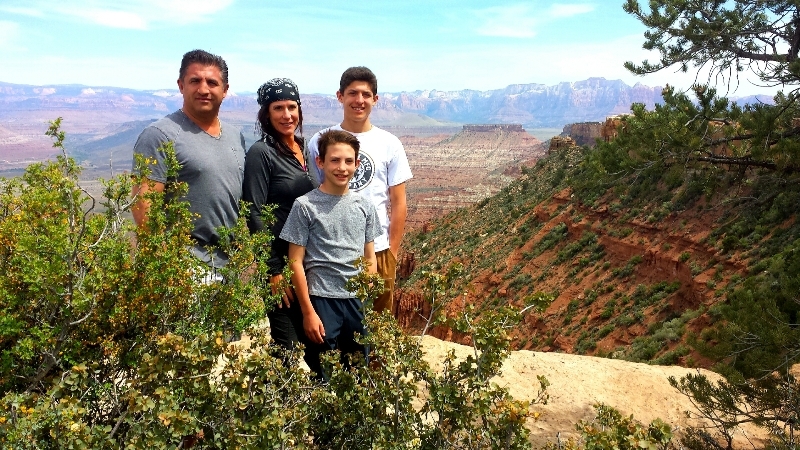 Our most affordable family tour option! Note: $100 per person – 4 person minimum charge per machine. Welcome to Zion Country Off-Road Tours the leader in the off-road tour industry. What makes us the best? Our quality tours and happy customers, of course. But don’t take our word for it check out our reviews on TripAdvisor. We are locally owned and operate with the motto “Honesty, Integrity, and Respect.” Owner Dave says, “This isn’t our job…It’s our lifestyle” and once you meet Dave and the other guides you will absolutely understand lifestyle is probably an understatement. Dave says, “I get up and put on dirt” and the rest of the team has red dirt in their blood too. We are real people who live, love and play in the Zion Canyon back country and Southern Utah wilderness and not some geared out corporation. 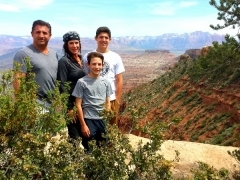 Our Zion Canyon ATV tours will help you live a little piece of our wild. Not only do we live and breathe the red rocks and pink sand in Southern Utah we offer the finest, well-maintained equipment. Tour vehicles are cleaned and detailed prior to each tour for your maximum comfort and safety. We believe a quality tour experience is a combination of people who really love the outdoors, great machines, and helping you and your family have a memorable experience. Zion National Park, located in Southern Utah, is one of the busiest National Parks in the United States. Known for its awesome hiking, colorful rock formations, and breathtaking views it is nothing like you’ve ever seen. 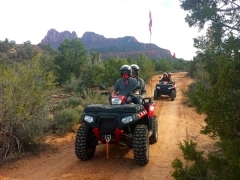 When you are ready to escape the hustle and bustle of Zion National Park, Zion Country Off-Road Tours provides interactive ATV tours or UTV tours. If you are looking for the real deal give us a call and we will treat you right on one of the best Zion Jeep Tours or Southern Utah Jeep Tours you can ever go on. It is our integrity on the line and your vacation! Off-road Group tours and Private tours available. Our interactive ATV tours take you where there’s solitude when you need a dose of back country bliss. We are pretty sure you did not come all this way just to fall into all the same tired tourist traps. Whether staying in an Airbnb in Rockville, a great hotel in Springdale, or coming from Grand Canyon or Bryce Canyon National Parks, we want you have a real experience in some of the most unique and beautiful landscape on the planet. Vacations are about creating memories after all. After you’ve conquered Angel’s Landing, dipped your toes in Emerald Pools, or trekked through The Narrows in Zion National Park, come experience the rest of Zion Canyon country on one of our amazing Zion ATV tours. For those of you interested in being in the driver’s seat we also offer fully guided UTV tours. These machines are so slick you only need a gentle touch and the spirit of adventure to operate them. “They’re like driving little clouds of air, ” says Dave. A guided UTV tour can elevate your Southern Utah vacation experience to a whole new level. Check out our photo gallery to help you book the tour that lights you up. We have everything from dinosaur tracks you can actually touch to silence so loud you’ll think you’re a million miles away from the rest of the world. Ready to ride? Give us a call today at (435) 767-7956 or click here to book online and let’s go have some fun! ZCORT has the perfect ATV tour or Jeep tour for you! ZCORT is a Bureau of Land Management permitted company.